Met. Laurus Skurla and those loyal and obedient to him, LEFT the valid and canonical historic Russian Church Abroad, when they in May of 2007, signed that despicable betrayal Tomos with, and thus submitted to, its authority, of the Stalin-founded in 1943 illegitimate and totally uncanonical and apostate false communist front, called, 'The Moscow Patriarchate', and our Vladyka Agafangel, who at that time frame, together with Bishop Daniel of Erie, were STILL valid bishops IN the pre-betrayal ROCOR Synod of bishops, ...they STAYED LOYAL TO ORTHODOXY, and thus they alone REMAINED..... THE VALID continued ROCOR...while apostate Met. LAURUS SKURLA AND his FOLLOWERS...... left IT!...... AND thus they ....LEFT ORTHODOXY .... as they BOWED TO and joined themselves to .....THE MP APOSTATES. Thus, the current ROCOR/MP under their Met. Hilarion Kapral, is NOT the legitimate Russian Church Abroad, but merely a subservient servile arm of the still communist controlled Moscow Patriarchate.... a tool of 'ex-KGB agent' and dictator, Vladimir Putin's world-wide power schemes. To recognize and to join with apostates and heretics and schismatics, means to LEAVE THE HOLY ORTHODOX FAITH and CHURCH. That is the "OCA", who did that back in 1970, and also ROCOR/MP, who entered the control of the MP in May of 2007. THUS, only our ROCA under our VLADYKA AGAFANGEL and his Synod, is the sole lawful continuation of the old free ROCOR, and none others are.... of the other numerous, ever-splitting/ in endless angry schisms, and at war with each other, the so-called ' True-Orthodox fragments'. Their episcopates are uncanonical and invalid. Their Orthodoxy is tainted and flawed, and are but pseudo-religious instruments of the godless who still run Russia.
."He who follows those leading into schism, will not inherit the Kingdom of God"
The restoration of order in the Russian Orthodox Church Abroad (ROCA) based on the canons is a difficult process, and it is not surprising that the adherents of Orthodoxy and the Holy Canons became confused in various ways. Some even believed that the ROCA Provisional Supreme Ecclesiastical Authority (PSEA) ended up in a “canonical dead end,” without a way out, and suggested following the path taken by former members of the Church Abroad, who left it before the Synod of Metropolitan Lavr (Skurla) broke with the ROCA last May. Unfortunately, all these paths, though seemingly easy and convenient, lead the Church “to debase itself to the level of a new entity.” Meanwhile, the slow but steady path chosen by the remaining faithful ROCA members under the guidance of the PSEA Chairman, the Most Reverend Bishop Agafangel (Pashkovskiy), may seem narrow and long, but it is unimpeachable in regard to the canons. Many who follow the ongoing process of restoring the canonical Church Authority in the ROCA do not understand the particulars of the situation which came in to being after May 17, 2007, and the ways in which the canonical restoration of the Church Abroad can be achieved. 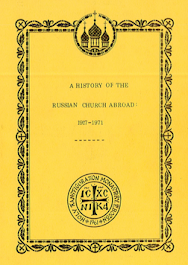 The existing and still-valid Status of the Russian Orthodox Church Abroad (ROCA Ustav, ROCA Status), which was observed by ROCA until May 17, 2007, and where applicable, continues to be followed (see the ROCA PSEA Epistle from Nov. 28, 2007), is based canonically (Status Chap. 1, Para 1) and originates from Decree No. 362 of the Most Holy Patriarch, the Holy Synod, and the Supreme Ecclesiastical Council of the Russian Orthodox Church from November 7/20, 1920 (Ukase No. 363 of Patriarch Tikhon, Ukase No. 363), which itself is based canonically on the Resolution of the Local Sobor of the Russian Orthodox Church in 1917-1918. The Status of the ROCA, which can be considered the approved Ustav of the ROCA and which is dependent on and derived from Ukase No. 363 of Patriarch Tikhon and the All-Diaspora Sobor of 1921, delineates how ROCA's authority functions within normal church conditions. As it is a “living” document that can be amended and is expected to be adjusted to correspond to new circumstances for the Church, the ROCA Ustav has been reviewed many times by the ROCA Synod of Bishops and necessary corrections and additions have been made. The current situation of the Church guided by the PSEA is unique in that, since the falling away into schism by the Synod of Met. Lavr, all the elements of church authority which existed earlier have for all purposes ceased to exist: the diocesan structure and an episcopate consisting of two bishops (previously) are all that has survived in ROCA. Since the Synod of Bishops’ authority was no longer valid, an intermediate stage began in ROCA after May 17th, dictated by Ukase No. 363 of Patriarch Tikhon, and which required the episcopate that remained to create a PSEA (Ukase No. 363, paras. 2&3) in whatever form necessary to handle church administrative duties (Ukase No. 363, para. 2). The requirements of Ukase No. 363 were forthrightly filled by Bishops Daniel and Agafangel on May 22, 2007, when they formed the ROCA PSEA together, and which was communicated to the faithful in the form of the “Declaration of Most Reverend Daniel, Bishop of Erie, Regarding the Creation of the Provisional Supreme Ecclesiastical Authority of the Church Abroad” and the corresponding declaration of the Most Reverend Agafangel on May 29, 2007, with the title “On Our Division.” They called upon all those who wished to remain in the ROCA to participate in the restoration of canonical order and work toward the convening of the Vth All-Diaspora Sobor. It is understood that given the circumstances, the PSEA is obligated to follow the spirit and letter of the Resolution of the Local Sobor of 1917-1918 throughout, until the canonical structure of the ROCA is restored. Since elements of the Church Authority are not present, it is not possible to expect and require the PSEA to fulfill every obligation called for by the Status of the ROCA in effect before May 17, 2007, but a general adherence to the spirit of the Status of the ROCA in its church administrative decisions is essential, as proof of the continuation of the PSEA from the original ROCA. While Ukase No. 363 of Patriarch Tikhon is still in effect, and until all elements of the Church Authority and Court are restored, all current matters and those which cannot be postponed, such as—accepting priests from other jurisdictions, the transfer of clergy from one diocese to another, divorce requests, awards for clergy and ordinations, the elections and ordinations of bishops, and other matters normally handled by the Supreme Ecclesiastical Authority are dealt with by the Provisional Supreme Ecclesiastical Authority. Based on the Status of the ROCA (Chap. 3, para. 28.6), the election and assignment of new bishops and the establishment of new cathedras during the time period between sobors is done by the ROCA Synod, while during a sobor it is done by the entire Sobor of Bishoprics,otherwise known as the Sobor of Bishops or the Supreme Ecclesiastical Authority of the ROCA (Status, Chap 2, para 7). Sessions of these administrative bodies, according to the Status of the ROCA can be lawfully called and chaired only by the Chairman of the Synod and Sobor—a ROCA hierarch with the office of Metropolitan (Chap 2, para.8). According to the Status, a Synod meeting can be considered convened (Chap3, para20) if it is attended by the Synod Chairman and at least two bishops of the four permanent members of the Synod (Chap. 3, para.16). Therefore, the opinion that Bishops Andronik and Sofroniy, who were ordained in December, 2007, for the PSEA, cannot be considered bishops of the Church Abroad, since they were not approved by a ROCA Sobor of Bishops as required by the Status of the ROCA (and that the decision to ordain new bishops could only be made by at least two ROCA bishops, who would constitute a Sobor) does not make sense and does not even conform to the requirements of the Status. Especially since according to the Status of the ROCA, two bishops not only cannot constitute a Sobor of Bishops, but also cannot constitute a ROCA Synod, which in accordance to the Status of the ROCA must be made up by the Chairman and his two vice chairmen, plus four more bishops, and can be called and chaired only by a Chairman with the office of Metropolitan. That is why the view that the new PSEA bishops cannot be considered ROCA bishops is incorrect. It is clear that during the organizational period (ruled always by the Patriarch's Ukase No. 363) up to the restoration of the canonical structure of the Church at the Vth All-Diaspora Sobor, all matters (including the election of bishops) that fall under the purview of the Sobor of Bishops, that is the ROCA SEA, can and must be decided by its provisional body, the ROCA PSEA. This is illustrated by the example of the election of bishops by a Synod instead of a Sobor, during the time between sobors. These matters will be ratified later by the Sobor of Bishops, which will occur and be called and held during the Vth All-Diaspora Sobor. The canonical legitimacy of the remaining part of the ROCA (“the remnant of Grace” as the Greek Metropolitan Cyprian put it) after the Synod of Met. Lavr left it, the legitimate creation of the PSEA, and the bishop ordinations within the Church Abroad, evokes irritation and criticism from representatives of various other questionable jurisdictions. The Eucharistic communion of the ROCA PSEA and the Synod of Met. Cyprian, along with the ordinations they performed together, also result in various judgments. Let us look at this matter more closely. As a result of the work of a learned commission of ROCA bishops during 1993-1994, it was decided (and approved in 1994 by the ROCA Sobor of Bishops) that the Synod of Resistance of the Orthodox Church of Greece(Holy Synod of Resistance, the Synod of Met. Cyprian) and its episcopate are unquestionably canonical and the ecclesiology of the Synod of Resistance does not contradict the traditional ecclesiology of the Church Abroad. On the basis of this determination, the ROCA Synod of Bishops decided to establish full church relations with the Synod of Met. Cyprian. Since then, nether ROCA clerics nor laypeople, who understand the canons correctly, could even begin to consider our Greek Sister Church not to be orthodox, since all doubts concerning the Synod of Resistance are invalidated by the authority of the ROCA Sobor of Bishops. Based on the opinion of ill-informed critics of the canonical ordinations of the new episcopate for the PSEA, one hears various views expressed by those with only a slight connection to the church, that the new bishops ordained with the help of the bishops of the Synod of Resistance of the Orthodox Church of Greece cannot be considered Russian bishops and bishops of the Church Abroad! Ever since the last century, those involved in the church know that the ordination of the Old-Calendar Greek bishops, as well as the Synod of Resistance of the Orthodox Church of Greece, was facilitated by the ROCA episcopate. To this day, no one would even think of the Old-Calendar Greeks as Russians, since the entire Orthodox world considers them what they really are—Greeks. When Bishop Agafangel concelebrated with these "Russian" Greeks in his diocese and in his cathedral, and ordained new bishops for his Church, how could clerics of the ROCA suddenly become "Greeks" and not bishops of their Church and their PSEA? As an example, its is also well known that the ordination of the future Patriarch of the Moscow Patriarchate (MP) Alexy I (Simanskiy) on April 28, 1913, was performed and led by the Most Reverend Patriarch of Antioch, Gregory IV. It is also difficult to take the opinions of certain commentators seriously, when they say that Bishop Agafangel, who is the only remaining ROCA bishop, could not restore the ROCA episcopate without the help of bishops from another Church. At the end of WWI, because of unrest caused by the demands of Arabs to be involved in matters of the church, all the bishops of the Jerusalem Patriarchate staged a revolt and refused to obey their Patriarch. Patriarch Damian remained alone, without a single bishop or Synod. He then asked the ROCA Synod for help in restoring the canonical structure of his Local Church and ordain a new Synod. His request was answered: the Most Reverend Met. Anthony (Khrapovitsky) could not attend, but he sent the future ROCA hierarch, Anastasiy, to Jerusalem, who together with the Patriarch in 1921, ordained new bishops for the Jerusalem Patriarchate. This example alone, of Patriarch Damian and Archbishop Anastasiy, refutes all opinions of the supposed uncanonical nature or “non-Russianness” of the ordination of bishops for the PSEA. The PSEA certainly tried achieving its goals on its own, but circumstances in the Church Abroad were such, that having isolated the weak and ailing 77 year old Bishop Daniel from the outside world and having misled him through the false statements of his companions and Met. Lavr, this resulted in Bishop Daniel remaining with them in the MP, and the PSEA was left with only Bishop Agafangel. All the other "jurisdictions" claiming to be descendants of ROCA were then examined from the standpoint of the canons and the unfortunate conclusion was made that there was, without any doubt or reservations, not one canonical bishop among them. Therefore, the PSEA had to turn to other canonically pure church bodies to complete its ordination of bishops. The possibility was considered of completing the ordinations with the Most Reverend Bishop Agafangel concelebrating with Irineos, the Patriarch of Jerusalem, or with the Old-Calendar Greek Synod of Archbishop Chrysostomos II, or with the Synod of Resistance of the Orthodox Church of Greece of Metropolitan Cyprian, or with the Romanian Old-Calendar Synod of Metropolitan Vlasy. For a number of reasons and grounds, and bearing in mind the ecclesiological succession of the PSEA from the original ROCA, the Synod of Resistance of the Orthodox Church of Greece was chosen. That way, the ordination of the bishops made by the ROCA PSEA with the help of the Synod of Resistance of the Orthodox Church of Greece was canonical beyond any doubt. The candidacies of the future bishops were proposed by the clergy and laypeople of the bishop-less dioceses of the ROCA. They were considered and approved by the Supreme Church Authority—the ROCA PSEA, nominated according to the canons, and ordained as ROCA bishops by canonical bishops. The newly-named bishops were before and after the ordinations, clerics of the ROCA according to all the accepted precepts. As explained earlier, the Status of the ROCA is a document dependent on the Ukase No. 363 and will remain so until all the administrative bodies are restored in the ROCA at the pending Vth All-Diaspora Sobor. Until then, the ROCA PSEA will exist and act within the framework of Ukase No. 363. The Provisional Supreme Ecclesiastical Authority, having come from within the ROCA, is bound by the terms set forth in the Status of the ROCA, but only to the extent that is possible practically in the conditions of its existence up to the time of the All-Diaspora Sobor. The PSEA structure, having been created according to the canons, embodies the complete authority in the ROCA until the All-Diaspora Sobor is held. Therefore, it has sufficient authority to ordain bishops. It can certainly be said that the pending All-Diaspora Sobor, and the Synod of Bishops which will be held at the same time, will openly state their conclusions not only on the ordinations completed for the good of the PSEA, but also on those performed in other parts of the ROCA, which left it before May 17, 2007. In considering the arguments of the critics, it should be pointed out that the historical and spiritual connection of the PSEA to the original ROCA is manifest through the union of two bishops: Bishop Daniel (Aleksandrov), a member of the ROCA Synod of Bishops since 1988, and Bishop Agafangel (Pashkovskiy), a member of the ROCA Synod of Bishops since 1995. The basis of this union is a historical document—the Declaration of ROCA Bishop Daniel of Erie, signed by him on May 9/22, 2007, which stipulates that Bishop Daniel and Bishop Agafangel together, of one mind and one spirit, established the PSEA and made the decision to fill the ranks of the ROCA episcopate by appealing to the fraternal Old-Calendar Churches for help with the ordinations. 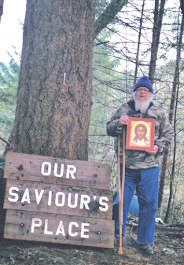 Bishop Daniel freely gave Bishop Agafangel the right to restore the canonical structure and administration of the PSEA, along with convening the Vth All-Diaspora Sobor. This also gave Bishop Agafangel the right and authority to select, nominate, and approve bishops for the ROCA and to create the Synod of Bishops. In sharp contrast to the ROCA PSEA, the many schismatic, newly-formed church groups such as the “ROC In Exile of Bishop Vladimir (Tselishchev)”, “the RTOC of Archbishop Tikhon (Pasechnik)” and other such “most orthodox and most true jurisdictions” which lay claim to historical or spiritual origin in the ROCA all share the same characteristic; they are headed by “archbishops” who were ordained under questionable circumstances and were never members of the ROCA Synod of Bishops, since they appeared only recently as a result of a number of schisms occurring since 2001. Critics of the ROCA are fond of pointing to the "Epistle from July 28/11, 2007, of the ROCA PSEA to all the Faithful Members of the Church Abroad" and especially to the part that says, “We aver that the course of our church is based in the principles and all Sobor declarations of the ROCA from its inception to May 4/17, 2007.” The critics believe that certain Sobor Declarations of the ROCA should be immediately and categorically rejected if the PSEA wishes to establish a new and pure ROCA. Unfortunately, the critics do not understand that no one is building a new ROCA. That the PSEA, having originated from the ROCA, obliges the successors to correct the mistakes made earlier. To preserve the purity of the Church, it is not necessary to denounce one's heritage. One only needs to avoid the mistakes of the past and correct them in a spirit of sobornost. That is what the Holy Orthodox Church did before us and that is what is expected of a PSEA which receives its authority from the original ROCA. 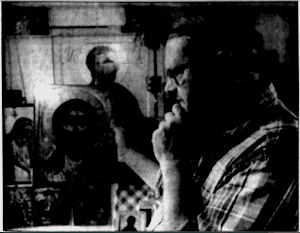 In considering what has been written here, we see that the accusation that the PSEA does not have any historical or spiritual connection to the original ROCA has no merit. Whatever steps the ROCA PSEA may take and whatever path the pure and uncompromised Bride of Christ—the Church Abroad—may take, it will always have not only its critics, but also its enemies and those who wish it ill, though if Truth and the Holy Canons are on its side—the gates of Hell will not prevail over it! Looking back it is easier than ever to see that had the earlier schisms not broken from ROCOR, the ROCOR-MP union would not have happened. Some of them expressed their great perplexity at the formation of PSEA. I believe that most of the bishops who led these pre-union schisms knew exactly what they were doing.